What do you do, in your own words? Working with Tommy Robinson and the rest of the fantastic hard working crew, we set up and maintain the festival’s infrastructure, making sure over the weekend that everything runs smoothly and safely. During my years living on aircraft carriers in the Royal Navy as marine engineer I picked up various skills in damage control, fire-fighting/flood defence and problem solving. I’ve been able to put these to good use at Farmer Phil’s Festival to ensure the show always goes on – no matter what! Outside of Farmer Phil’s Festival, I’m a self-employed crane and lifting gear engineer, with experience in electrical and mechanical environments. I also work in the security industry with Tommy. Before any of us knew what he was up to, I repaired the roof of infamous serial killer Harold Shipman in the nineties. On a lighter, more random note, I also once threw a potato at Boy George in Ibiza! 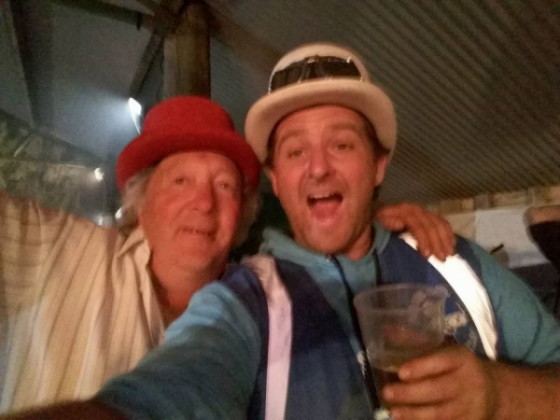 It’s ten years since I first sampled the Farmer Phil’s Festival experience and I have gathered so many brilliant memories over the years. But gives me even more satisfaction looking back is when the team and I get a ‘thank you’ or when someone tells you how much they have enjoyed themselves over the weekend – that’s what makes it all worthwhile.